"Viktor Orban is celebrated all across Europe" – so said an evening news show on a government-financed TV channel on the eve of last week's 'Article Seven' vote on Hungary - where the resolution that could theoretically lead to the suspension of Hungary's voting rights in the European Council was supported by two-thirds of the valid votes. A newspaper close to the government printed Facebook and Twitter comments written by fans of Orban to 'prove' that the majority of European people were behind him. While the result of the vote was definitely a miscalculation for Orban, he feels the event fits perfectly to his political narrative: the political elites in Europe are against him, while the people are behind him. 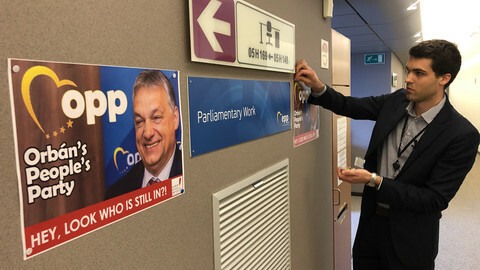 Ignoring the nuance that the European Parliament is, in fact, directly elected, he tried to reduce the importance of the vote, claiming that only "politicians of the past" voted against him, and the "pro-migration elites" are attacking him because they want to flood Hungary with migrants. 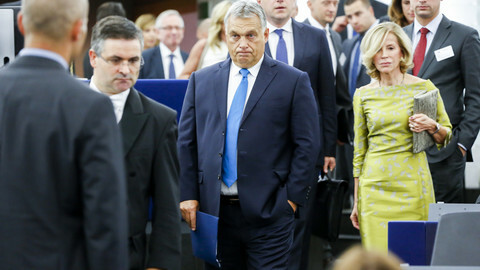 Like Donald Trump getting politically stronger with every new attack coming from the "swamp" that he says he wants to drain, Orban's fight as the 'David' can be made even more heroic against the 'Goliath' of the Brussels elite after this vote. Is this political game enough for him to win the European Parliament elections domestically? For sure. But for changing the European political landscape? Surely not. 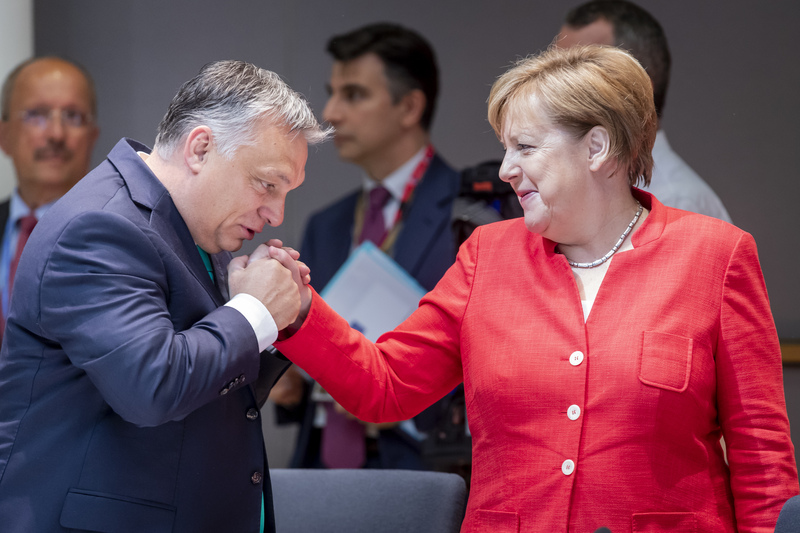 While Orban is increasingly open about his ambitions to become a serious European politician, there are four reasons why it seems it will be way more difficult than he thinks. First, Orban overestimates the pace and depth of the populist revolution in Europe. As Cas Mudde rightly argues, right-wing populists more represent a loud minority in European politics than the silent majority as they paint themselves. As a Pew Poll in western European countries indicated, mainstream traditional parties are more popular and populist parties are less popular than it is usually assumed. And, also, voters still think the left-right divide more important than the mainstream-populist divide. Realistic predictions indeed indicate a populist upsurge on the elections, but not a revolution that Orban expects and talks about. The political forces that are supportive towards him now represent less than a third of the European Parliament. While some of his silent or loud supporters will definitely gain strength (e.g. Lega in ENF), some others will leave the house: Tories in ECR, and UKIP members in EFDD, who defended Orbán on the vote on Wednesday will not be members of the post-Brexit EP. And not even all of the populists are supportive towards Orban: most MEPs of Five Star in Italy for example, voted against him on the Article Seven issue, and they were unhappy with his visit to Italy and meeting with Salvini. Second, immigration and the refugee crisis are not the only concerns of Europeans - as he assumes. Orban thinks this is the topic with which he can gain a real European constituency. The Hungarian government regularly does public opinion polls in several EU countries in which they find results that they think prove their claims: Europeans are concerned about terrorism and crime and think these problems are related to migration. But the spindoctors close to the government miss two important points in the public opinion. One is that the importance of the topic is rather on the decline in Europe. As the latest Eurobarometer poll indicates, the ratio of Europeans mentioning immigration 'among the top two concerns their country is facing' dropped to 21 percent, from 36 percent at the peak of the refugee crisis back to 2015. And the second: an overwhelming majority (66 percent) of western Europeans think that immigration makes their country stronger economically, and only 28 percent thinks that they are a burden. The general, undifferentiated xenophobia that characterises Orban's approach (in his own words: "we do not want to be diverse and … we do not want our own colour, traditions and national culture to be mixed with those of others") - does not have a dominant support in Western Europe. Third, Orban openly denies solidarity and cooperation when it comes to the refugee crisis. And it is not just him who is doing this, but his diplomats as well. On the international level, other governments usually try to prove that they respect the rules of solidarity and respect the international obligations when it comes to refugees. Orban and his diplomats, on the other hand, make it crystal clear that they do not want any refugees (migrants) and will not participate in any resettlement plan. Even Italy's Matteo Salvini is more diplomatic when it comes to this issue. He told Deutsche Welle a few weeks ago for example: "I'm trying to get something good out of everybody. Viktor Orban talks about defending Europe's borders, about protection in the countries of origin and investment in Africa, and I agree with him. Angela Merkel is proposing a redistribution inside Europe, and I can agree even with this position in the very near future". Orban, especially after winning his third two-thirds electoral majority in a row, totally lost his willingness to compromise. But it won't really work in diplomacy, and this is one reason while he failed to find allies on the vote last Wednesday. And also, here again, the "people" are not necessarily behind him: while the protection of external borders is a popular idea (and, by the way, the commission is pushing for it as well), rejecting solidarity in sharing the burden is not: some 78 percent of Europeans think, for example, that the numbers of asylum-seekers should be better distributed among all EU member states. And fourth: Orban underestimates the East-West divide when it comes to find international alliances. An important takeaway of the European parliament vote was that Orban has many more supporters in central and eastern Europe, even from ideologically distant players (eg Czech communist and Slovakian socialists), than from western Europe. While he has popular supporters in big west European countries such as Italy (Salvini), France (Marine Le Pen) and Netherlands (Geert Wilders), it seems that in central and eastern Europe his message resonates better, and solidarity works more. He lost some important western supporters: German Christian Democrats and even Austrian conservatives - who he regarded as trusted allies. In western Europe, arguing against Eastern free-riders, 'barbarians' who just take the money but do not respect the rules of the EU and reject providing solidarity, is a powerful narrative. And Orban just fuels this rhetoric with his uncompromising, confrontative and stubborn political stances. In short: Orban not only does not enjoy the support of "elites", as he correctly claims, but neither does he enjoy the support of the "people" - especially in western Europe. And this way it will be difficult to metamorphose into an influential European politician from the role of troublemaker he is currently playing. While Orban looks for the upcoming European parliament election in May 2019 as a revolution that is coming, he will be dissatisfied with the results. 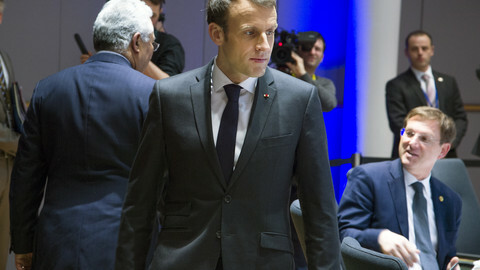 His hopes that the EPP will be split by Macron and he can remain in the group may be a pipe dream. And from the margins of the political spectrum it is more difficult to gain a mass constituency. Orban is running a marathon as a short-distance sprinter - but he remains lonely, as the running track is long, and others running slower. Because politics in the European Union is more for long-distance runners. MEPs in Strasbourg debated triggering the Article 7 sanctions procedure against Hungary, for infringing EU rules and values - while prime minister Viktor Orban claimed the parliament was about to punish Hungarians for protecting Europe's borders from immigrants. 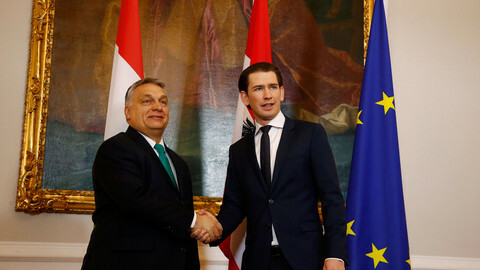 Austrian leader Sebastian Kurz has said his party's MEPs will vote in favour of sanctions against Hungary in the European Parliament on Wednesday.